Lytx Inc., formerly DriveCam Inc., signed an agreement with Greater Cleveland Regional Transit Authority (GCRTA) to outfit its fleet of more than 400 buses with the DriveCam powered by Lytx video-based driver safety program. GCRTA’s six-month trial included 100 vehicles in a side-by-side comparison based on the driver coaching criteria from each participating vendor’s system. 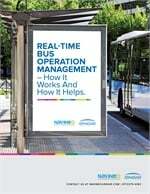 Lytx successfully met all of GCRTA’s operational criteria, including simple user-interface; meaningful real-time feedback for operators; flexible reporting tools for analysis; idling and fuel efficiency reporting; and maximum efficiency, which meant little or no addition needed to GCRTA Information Technology Infrastructure staff to manage the program, according to the company. DriveCam powered by Lytx helps to prevent incidents, reduce injuries and save lives by combining video with predictive analytics, real-time driver feedback and coaching, empowering fleets to identify and correct the driving behaviors that lead to 90% of collisions. A new Virginia Tech Transportation Institute study shows that more than 800 lives could be saved each year using video-based driver safety technology, and that the DriveCam Program alone could prevent more than 25,000 commercial vehicle collisions and nearly 40,000 injuries annually. Using the patented Lytx Engine, the DriveCam Program identifies and prioritizes risk so fleets can focus on the drivers who need the most coaching. The DriveCam Video Event Recorder, placed on a vehicle’s windshield, captures video of risky driving events such as hard-braking, cornering, and following too close, and uploads them wirelessly to the DriveCam Review Center. There, certified professionals objectively review and score the events in a consistent manner and pass them on to the fleet for use in coaching drivers. Fleets manage the DriveCam Program through the DriveCam Online cloud-based platform, which includes reporting capabilities that enable quick analysis of safety and performance trends. This helps fleets to effectively manage and coach drivers to become safer and more efficient, thereby significantly reducing collision and fuel costs and vehicle wear and tear.